Definition at line 66 of file llviewergesture.h. Definition at line 143 of file llviewergesture.cpp. Definition at line 151 of file llviewergesture.cpp. Definition at line 72 of file llviewergesture.h. Definition at line 160 of file llviewergesture.cpp. 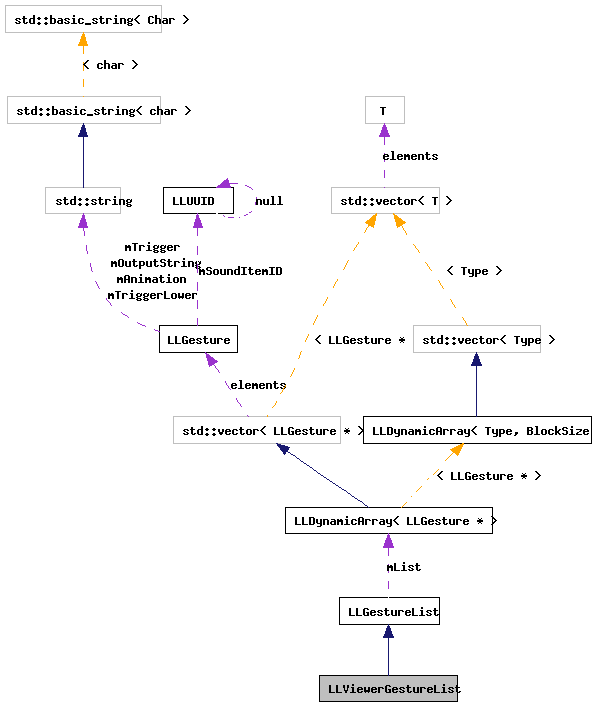 References LLGestureList::count(), FALSE, LLGestureList::get(), i, S32, LLStringBase< char >::toLower(), LLGestureList::trigger(), TRUE, and utf8str_truncate(). Definition at line 191 of file llviewergesture.cpp. References LLGestureList::deserialize(), end, gGestureList, LL_ERR_NOERR, llendl, llerrs, llwarns, mIsLoaded, and TRUE. Definition at line 87 of file llviewergesture.h. Referenced by getIsLoaded(), LLViewerGestureList(), and xferCallback().